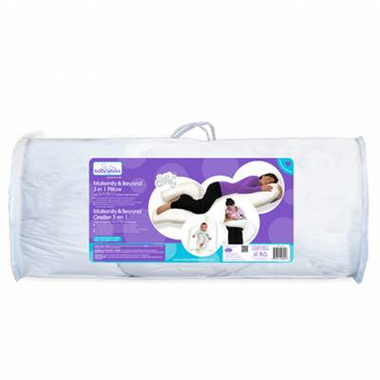 The Baby Works™ Maternity & Beyond 3-in-1 Pillow provides maximum comfort & support from the early stages of pregnancy all the way to key milestones in the lives of you and your baby. This unique patent-pending “giraffe” shape ensures that mom always has the support she needs between her legs and thighs for hip, back and lumbar support and proper spinal alignment. 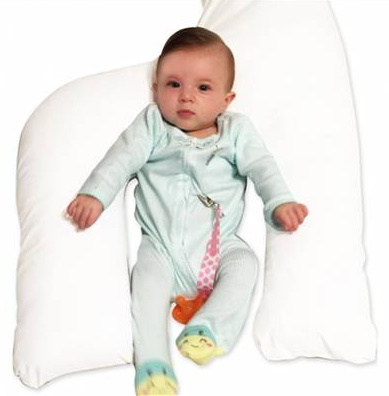 Once baby is born, mom can flip the pillow and use the legs around her waist to feed baby. That “U” shape is also ideal for positioning baby for playtime or downtime! 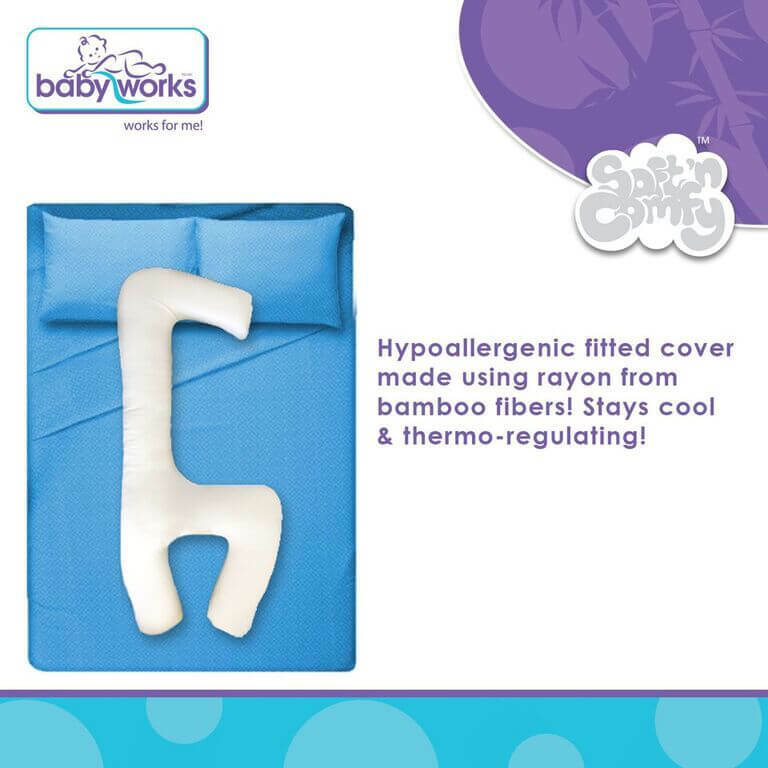 As part of Baby Works™, the Maternity & Beyond 3in1 Pillow comes with a hypoallergenic fitted cover, made using rayon from bamboo fibers, which is soft & gentle and helps keep the surface cool & comfortable. A must for any mom-to-be & the ultimate baby shower gift! I love the size and shape, but it is not very fluffy and is rather flat. Looks nothing like the picture. It comes vacuum sealed, so it is flat when it arrives. I spent two days fluffing it up before trying it, and it still is not very good. For $100 I expected something much better. I would have bought the Snoogle (used one with my first pregnancy) but they were out of stock.